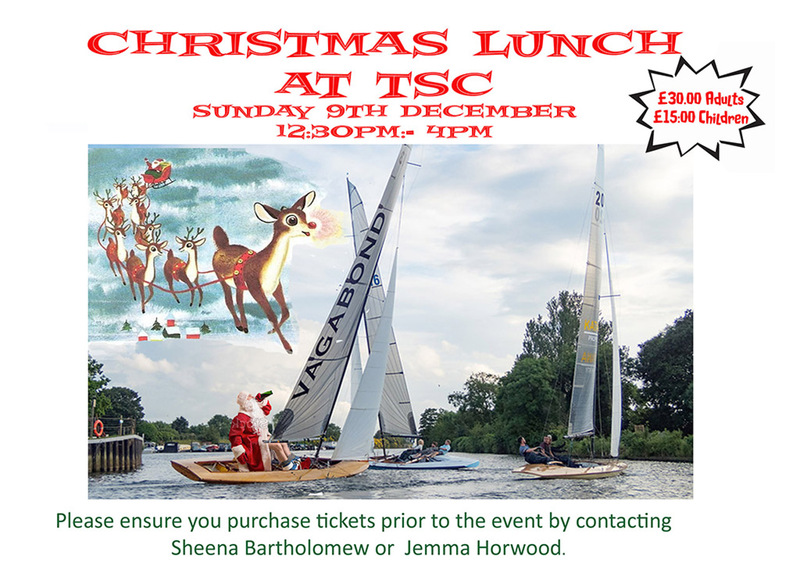 Our 2018 Christmas Lunch, including the Awards Ceremony, will take place on Sunday 9th December from 12:30pm. Tickets are £30.00 for adults, and £15.00 for children. Sam would like us all to be seated by 1:30pm, so please be prompt! Smoked Salmon and King prawns, horseradish cream served on a bed of salad leaves with vinaigrette and buttered brown bread. Duck and orange pate with brioche toast and Cumberland preserve. Roast turkey with sage and onion stuffing with Roast potatoes in goose fat, Honey roast parsnips, Brussel sprouts with pancetta, Buttered parsley carrots, Garden peas, Pigs in blankets, Turkey gravy and Cumberland jelly. Poached pear in red wine with vanilla ice cream. Cheese board with crackers and grapes. Tea or coffee and mints. Veggie, dairy and gluten free options are available, so please let us know. Please contact Sheena or Jemma to purchase your tickets, and also to confirm your menu choices as soon as possible!